This advanced skills camp is designed for experienced basketball players. Guided by Varsity coaches and players, campers will develop their shooting form, ball handling ability, passing accuracy, and team and individual defensive principles. Campers will also learn offensive principles and how to read the defense in order to make good basketball decisions. Penetrating moves, ball reversals, fast breaks, pick and roll, and proper spacing will all be part of this intense camp. Campers will leave this camp more skilled, more knowledgeable, and will possess a higher basketball IQ. Pair this camp with the Boys Shooting Program to take your game to the next level. 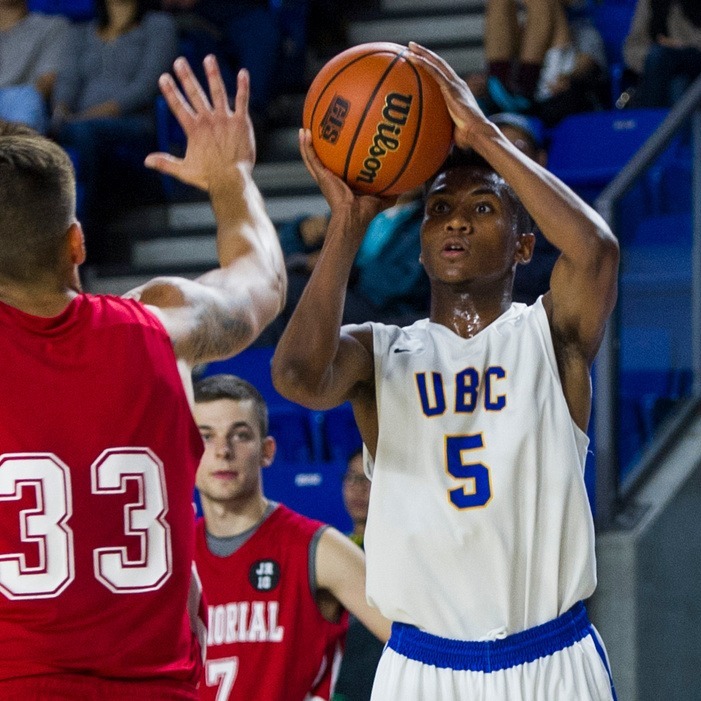 From left to right, Phil Jalalpoor, Jordan Jensen-Whyte, Conor Morgan; UBC Thunderbirds and Camp Coaches. *No camp on Friday, July 26! Campers will work on proper shooting mechanics, accuracy, range, and getting shots off against a tough defender. This camp will also work on proper footwork, using screens effectively, and being balanced. Shooting off the catch, off the dribble and finishing 1 on 1 moves will all be covered.